I wanted to give the new AnimComposer a try, and I noticed that after running the AnimMigrationUtils.migrate(model)method and saving it, the model ‘breaks’. The weird thing is, that when you actually play an animation on the broken model, it assembles itself again correct. The SpatialUtils.getFirstControl() method only does a depth first traversal of the spatial and returns the first control that matches the given type, so no ‘magic’ happens in that method. this character preferred to be in egg transform he packed himself very good! Could you explain me the difference between bindPose and initialPose? I think other folks can explain it more better. * Note that this is only useful for debugging purpose. * Saves the current local transform as the initial transform. * Initial transform is the one applied to the armature when loaded. 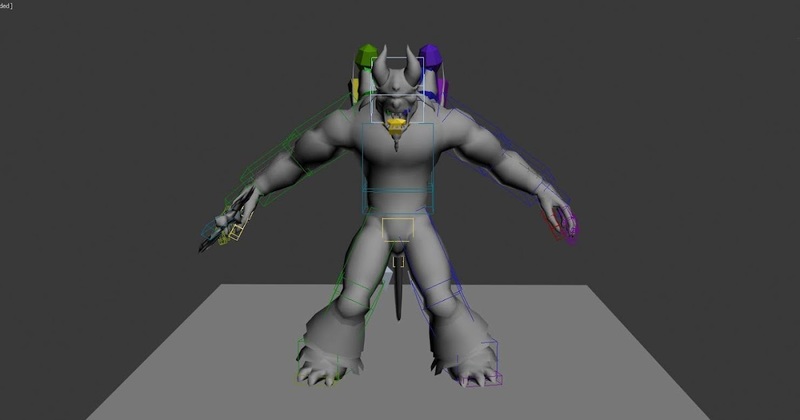 What Is a Binding Pose in Character Animation? I believe bind pose is the state of the model when no animation is applied: all bone/joint transforms set to identity, no morphs applied, and so on. Bind pose might be a T pose or a Y pose or something else entirely, depending on how the model was created. As the documentation says, initial pose is the state when the model is loaded from assets. In JME 3.2, bind pose and initial pose were always the same. I’m unsure why @nehon created the distinction. Ok, thanks. I indeed didn’t get the difference between bind pose and initial pose.